A record of all Project activity. 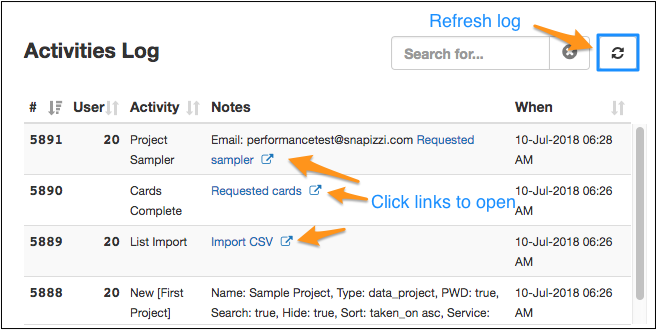 The Activities Log can be found in the lower right of the Snapizzi Dashboard. In addition to all activity, the log also contains live links to Project assets. The search function works like all other searches in Snapizzi. Enter a code, name, or any other data contained in your CSV file to see what post-processing work has been done for the selected Project.